When you visit our Site, some information such as your Internet protocol address, Internet service provider, operating system, the Site from which you arrived, and the time and date of your visit may be collected automatically as part of the software operation of this Site. This intake of information is entirely anonymous. DB Pride uses this information solely for internal marketing purposes, for example, to see what pages are most frequently visited in order to improve the Site and also potentially for investor relations and HR purposes. DB Pride also collects information through the use of a technology called "cookies". A cookie is a small file that a web site can send to your browser, which is then stored on your system by your browser. The use of cookie technology on www.dbpride.com is solely for internal marketing purposes. If you are uncomfortable accepting cookies from our Site or any other, you can set your browser to notify you when a Site attempts to send you a cookie, giving you the opportunity to decide for yourself whether or not to accept the cookies. You can also set your browser to turn off cookies. Whenever DB Pride collects information that you voluntarily submit, it is DB Pride intent to inform you of why this information is being requested and how it is going to be used. DB Pride will not sell, distribute, or give your personal information to any third party without your knowledge and consent. 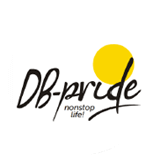 DB Pride shall not be liable for any personal information that you submit to external vendors or to any web site linked to this Site. It is DB Pride intent to keep secure any personal information that you submit to us, and DB Pride will continue to take steps to maintain the security of this Site. However, the open nature of the Internet is such that data may flow over networks without security measures and may be accessed and used by people other than those for whom the data is intended. Therefore, in submitting personal information to the Site, you assume the risk of a third party obtaining that information. The DB Pride website team has been made aware of a number of fake emails that appear to be sent from DB Pride asking users to confirm their email address and/or password. We would like to reassure users that we will never send you an email asking you to reconfirm your security details. We will never ask you to divulge your full passwords via e-mail. If you do receive a suspicious email like this please delete it straight away and do not click on any of the links contained in it. If you are ever concerned about any communications that are or seem to be from DB Pride, please contact us immediately.